Built to highest manufacturing standards, the modern features of the Inland 1911 Custom Carry could make this 1911 the only one you would ever carry. 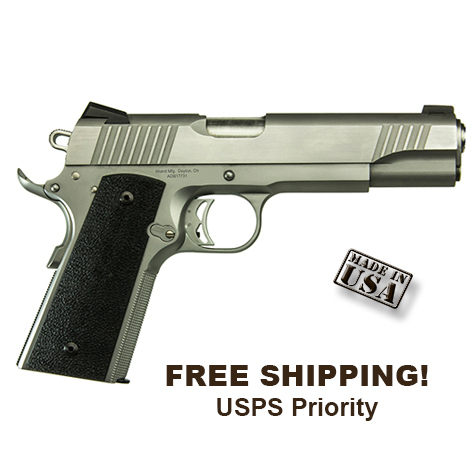 The features of the Inland 1911 Custom Carry are proven in the field as a concealed carry sidearm and in competition. The pistol is precision machined with a cast frame and solid billet slide. Standard features include ERGO XTR grip panels, extended thumb safety, extended full length recoil guide rod, beavertail grip safety, adjustable target trigger, skeletonized combat hammer, and 20 TPI checkering on the grip and mainspring housing.